Kent Aura Air Purifier Review- Cost Rs 10,990. Is it worth the money? 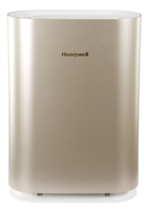 Last time we reviewed Honeywell Air Purifiers. Now, time to review an air purifier from Kent. 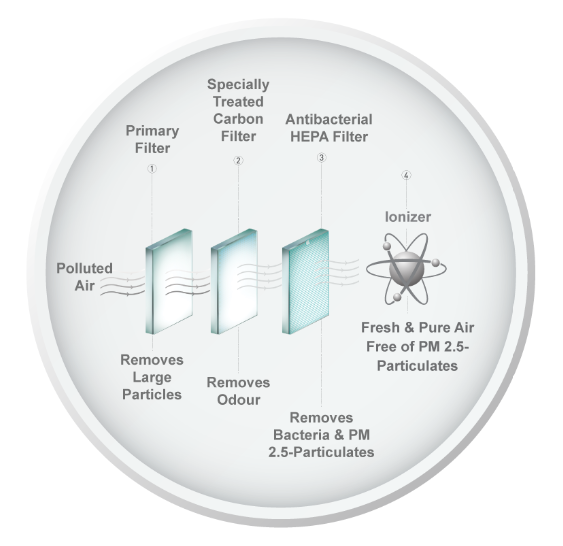 Kent has lately jumped into air purifier business and is not a recognized player as far as air purifiers are concerned. 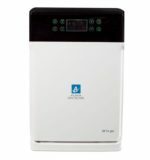 We know Kent to be more of a good water purifier brand rather than other home appliances. Insofar as marketing goes, there is no denial that Kent spends a fortune on advertisements. Not hard to estimate why Hema Malini is seen in its ads along with her daughters. We believe that advertisements impact the customer outlook. The more aggressive the ad campaigns, the better is the product- Do you also think the same? Well, lets find out today, how much useful is the Kent Aura Room Air Purifier. The company specifies the CADR(Clean Air Delivery Rate) for the Kent Aura Air Purifier to be 180m³/h.and has a coverage area of 270 sq.ft. Its worth mentioning here that this CADR rating is pretty good. If we compare it with the Philips AC4025 and AC4012 air purifier models; the CADR is better and that too at appreciable lower cost. From Panasonic PBJ30ARD can also be considered if you are looking for a product under 10,000. This is the benefit of competition and buying Indian products. Recently, the prices of air purifiers have fallen significantly. 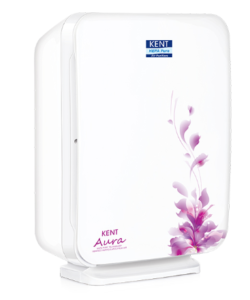 Another model from Kent, the Kent Eternal Air Purifier has a much higher CADR of 400 and a coverage area of 377 sq.ft. 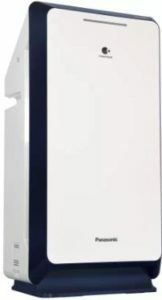 The Kent Aura Air Purifier has four-stage filtration. The Fourth stage is the Ionizer. The filters cost around 3,000 for all three filters. The Kent Aura Air Purifier also has an ionizer which emits negatively charged particles( ions) into the air. This is said to “freshen” up the room air. Ionizers are better when they are Precipitators rather than Ion-generators. You can check the complete Guide to Buying an Air Purifier. Negative ions help in condensing the pollen, mold spores, dust and animal dander floating in the air. 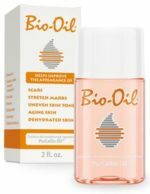 The product manual also mentions of how negative ions have been found to lift mood, alleviate depression and seasonal affective disorder(SAD). It also mentions that there is patent from a prominent researcher on how negative ions can be used to treat depression. You can read more on this on Wikipedia. Our only concern is that Ionizers are known to produce Ozone, which in any quantity does not belong to your rooms!! The Good News is that you can turn on/off the ionizer and its use is optional. Kent Air Purifiers come in four different speed settings. These settings allow- Auto, low, medium and high. For low speed- press speed button once. For medium speed- press the speed button twice and thrice for the high speed setting. Kent Aura Air Purifier comes with three different timer settings- 2 hours, 4 hours and 8 hours. These settings allow you to select a usage as per your needs. To set timer, press the timer button on the control panel. To set the timer to 2 hours, press the button once. For 4 hours press it twice and thrice for 8 hours. When ‘Replace Filter’ LED lights up it means that the filter life is nearing its end and it needs replacement. The ‘Replace Filter’ glows after 2000 hours of usage in normal course or when the filters are choked. After replacing the filter, press and hold the ‘Timer’ button for 3 seconds to reset the ‘Replace Filter’ indicator. It is important to reset the machine. Failing to do so may damage the photosensitive sensor. To activate child lock, press child lock key for 3 seconds. In this mode the operation panel will be in lock state. To cancel lock, long press ‘child lock’ for 3 seconds. When the lights turn off, all keys would be operating normally. Power Consumption is around 45 Watts and Noise level is <=60 db (A). Economical choice which fits in your budget and delivers clean air. All major features found in an air purifier are present. The filters do not fit very snugly and there are a few gaps at the sides which expose the filters. Also, a low CADR rating is a compromise. For Service and Installation anywhere in India Call- 092-789-12345 all days 8 AM to 8 PM. The Kent Aura Air Purifier is an OK device and has all the features one can expect from a decent Air Purifier. There are definitely other better (and hence costlier) options available. 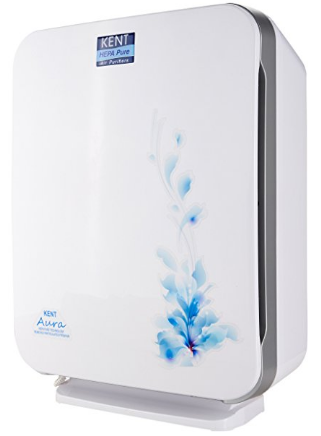 If you have limited budget then Kent Aura is not a bad deal. No offence but we cannot visualize Indian technology to be superior or at par with Japanese(Panasonic), Dutch(Philips) or American(Honeywell) products. 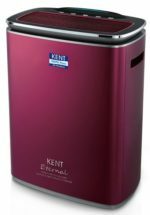 Kent definitely makes good RO systems and would not want its reputation to suffer because of sub-standard air purifiers. Hope our review would help you in your decision making.